The following few videos and links have been done to show you the wedding extras you can add to your wedding package. All the images I deliver are done so via the secure site; from here you can download all the images, download images from a certain part of your wedding day, create your own favourites and share these with your family and friends. The SaywellHQ secure online gallery stays online for 12 months from the first date you log-in to view your images – If you wanted to keep the SaywellHQ gallery online for a further 12 months this is done at a cost of £25. Currently, I deliver all my wedding files via my secure online gallery system. But there are some wedding couples that want to make sure they have something physical which contains their amazing wedding images safely stored on a USB and also have up to 100 printed images ready to be shown off to all their family and friends. 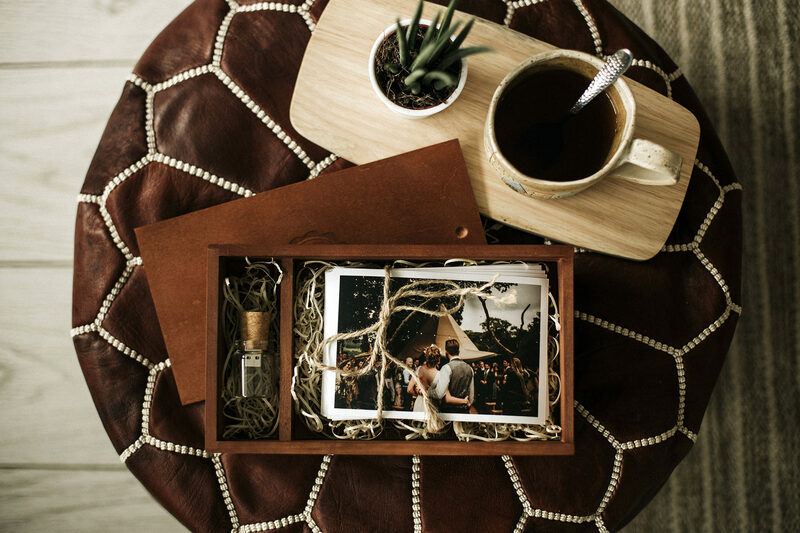 The price for the Wooden USB and Print Box including 30 6*4 prints of your choice is £150. This is such a special wedding photofilm designed by me using a selection of images from your wedding ceremony set to the sound from your wedding ceremony. Your wedding ceremony goes so quick, it’s a blur but with this wedding ceremony photofilm, you can relive the ceremony whenever you want and on any device. Above is an example of the wedding ceremony photofilm from the wedding of Tammy and Michael, if you do not have the time to watch and listen to the whole photofilm, please fast forward to 6 minutes to the exchange of the rings and the reading of the personal promises, it’s a special moment. This album is brilliant, and I’m so chuffed, it’s as good as I hoped it would be! The albums shown in the picture is the large version @ 35cm x 25cm and the smaller one A4 ish size. One of the great things about this album is the ability to have the box as a presentation tool. 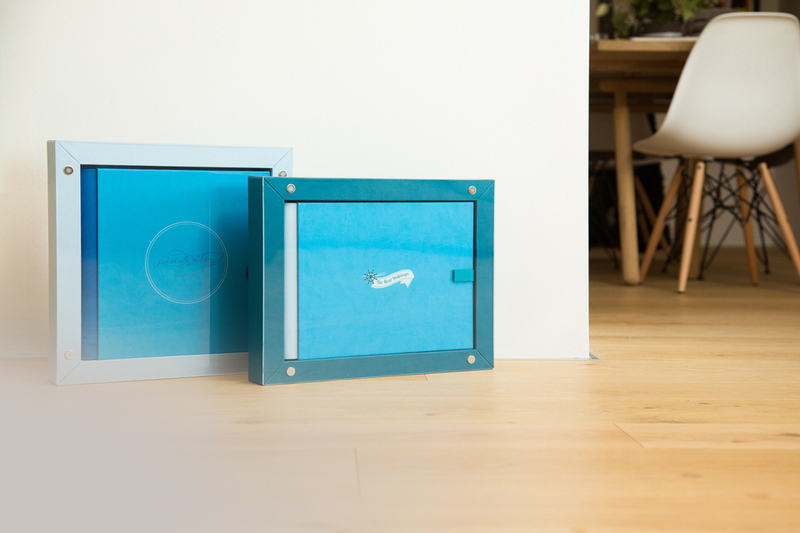 The box comes complete with a transparent lid held in place by magnets, which allows you to stand the box (containing your album) anywhere you like! – it’s brilliant! The GoBook is very customisable and can be had in many different colour combinations. My fully completed price for this album in A4 size, 20 pages (around 30 – 35 images), boxed, transparent cover, delivery all in for £250, the larger one (35cm x 25cm) at only £300. Extra pages can be added for a small extra price.